An excerpt from “An Honest Day’s Work,” my new book, which will be published in the fall of 2014. 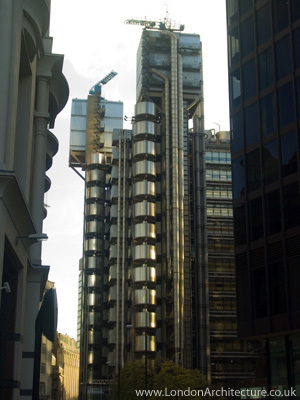 One of my favorite Burson-Marsteller clients was Lloyd’s of London. Lloyd’s was renowned for its willingness to take on all kinds of outsized risks – major catastrophes, environmental disasters, that sort of thing. They also were willing to insure what some would say were frivolous risks – such as insuring Irish Stepdancer Michael Flatley’s legs for $47 million — and enjoying lots of great publicity in the bargain. Lloyd’s is not a conventional insurance company per se but an insurance market. On the large underwriting floor at the Lloyd’s building at One Lime Street, underwriters sat in boxes awaiting Lloyd’s brokers to come make their pitches. Suppose a broker wanted to line up insurance against a particular calamity. Depending on the potential exposure, it is unlikely that any single underwriter would assume that risk alone. So an underwriter might sign on for two percent of the risk. The broker would then move on to the next box and the next until he had covered 100% of the risk. The underwriters run what are called syndicates. The syndicates comprise corporations and well-heeled individuals who put up substantial sums of cash to join the syndicate. At that time, individual members, known as “names,” had to put up at least $250,000 to join. And they did so by participating in a unique process. Each name was required to visit One Lime Street for a meeting with Lloyd’s officials. The purpose of the meeting was to explain in the fullest of detail the implications of becoming a name. Most names were so intoxicated by the desire to drop the fact that they were a name in cocktail conversation, they probably didn’t take the warning seriously. And the vast majority of them did quite well. However, in the early 1990s, there were a number of syndicates that had underwritten asbestos claims in the U.S. As litigation expenses and jury awards began to accelerate, a number of underwriters began to sweat. As a result, it is said (never proven) that these underwriters colluded with U.S. based brokers to sign up new names. “Recruit to dilute” was the mission, meaning spread the liabilities across a bigger pot of money, and they did a great job. A number of high profile executives and boastful oil tycoons were seduced into becoming names, unaware that they were being suckered into joining syndicates already facing massive, guaranteed losses. When the extent of their likely losses became clear, these new names did what any red-blooded American would do and sued. These suits generated a lot of nasty press coverage in the U.S. and the U.K. For the most part, the cases were settled out of court. That’s about the time we were brought in – to manage the U.S. press coverage around the settlement and try to buff up the image of Lloyd’s. A couple of us flew over to meet with management. One Lime Street was a startling building, designed by noted British architect Richard Rodgers, and one either reveled in its novelty or loathed it (and those responsible for it) like one loathed dog crap under one’s shoe. I counted myself in the latter group and I was in good company. Prince Charles was so disgusted with One Lime that he launched a campaign against ugly buildings in the U.K. with the Lloyd’s building as the poster child. Charles was quoted in the press saying, “You have to give this much to the [WWII German] Luftwaffe. When it knocked down our buildings, it didn’t replace them with anything more offensive than rubble.” Good one, Charlie! At One Lime, everything that was supposed to be on the inside was on the outside. The bathrooms were bolted onto the side of the building and were constructed of stainless steel, wall to wall. It gave a whole new meaning to “going to the can.” When the building was opened, one of the tabloids ran a cartoon of a car as if designed by Rodgers. It had the engine, seats and window rollers on the outside, and a bumper protruding from within. The cartoon was displayed with honor in the Lloyd’s pressroom. At least they had a sense of humor. Our first meeting, to which we were escorted by Peter Hill, Lloyd’s charming head of PR at the time, was with Sir David Rowland and Mr. Peter Middleton, Chairman and President respectively. Sir David was as reserved and stoic as one would imagine a British banker to be, but Peter was a former monk who rode to work on a motorcycle. He was never without a cigarette dangling from his lips and (as we later learned) appreciated a fine wine. Both seemed deeply concerned about Lloyd’s reputation in the U.S. and were pleased to welcome us. After the meeting, we went to a conference room for a working lunch with two suspender-clad executives. As we walked into the conference room, we were taken aback by the spread they had laid out. While we in the States would order a platter of deli sandwiches and Diet Cokes for a meeting, here there were two different steam trays and a mountain of salads, cookies, cakes…and wine. There were several bottles of red and white French wine. The executives greeted us warmly and offered us a tipple, but we were so jetlagged that we didn’t dare risk falling asleep. “Suit yourselves,” one of them said as he reached for a Sauvignon Blanc. The other popped open a nice claret. During the course of lunch, we learned all about the intricacies of the Lloyd’s market, and also just how much wine two guys could put away in 90 minutes and still plan to go back to work. Later, Peter Hill gave us an amused look as we described the meeting, and said that Lloyd’s had the distinction of being the last firm in the City (financial district) where one could expect to get thoroughly potted at lunch with no consequences. After a couple of days of briefings, we flew home and got to work. We put together a plan and arranged for a videoconference to present it. Four of us sat a conference table in New York, and Sir David and Peter sat at one in London. The box that we used to control the video camera and which picked up our voices was on the table in front of us. As I made a point about media outreach, one of my colleagues set her coffee mug down on the table next to the control box. Both Sir David and Peter winced. I knocked my knee into the table while crossing my legs and they instantly looked stricken. Evidently, the sound level on their side of the ocean was set one notch below “Great Thunderclap” and when I dropped my pen on the table, they recoiled as if they were being physically assaulted. Someone said something funny and we all laughed out loud; Peter and David looked nauseous. Finally, the hand and arm of an otherwise unseen Peter Hill reached into the picture and turned down the volume. I am sure Sir David considered Mr. Hill a peer from then on. We needed a spokesperson in New York and Peter Middleton volunteered. He came over the night before our first round of interviews and we took him to dinner. We asked him how his flight had been. I don’t know how many British and American aviation laws were broken that day, but that was just the sort of thing that would happen to Peter Middleton and I was very sorry to read of his death in April, 2014. He was truly a shining star. Nice work, again. I’ve been missing these. Looking forward to your book. Hi Chris – great story – I could see this an episode of Mad Men! Thanks, Mary! Hope all is well. Chris, I also had the pleasure of working with Lloyds and Messrs. Middleton, Rowland and Hill in the midst of their burgeoning crisis. What a trip that was, once you entered the world of One Lime St.